The PEI Literacy Alliance will pilot its highly successful free tutoring program during the school year in for the first time 2018-19. The announcement was made by the Alliance today at its annual general meeting along with the pilot’s major sponsor the Rotary Literacy Foundation. For the past 18 years, the Alliance has run a summer tutoring program called Ready Set Learn. Each summer it hires 20 to 25 tutors to work one-to-one with approximately 800 elementary-aged children who struggle in school. The success of this program has led to its planned expansion into a year-round free tutoring program for kids. 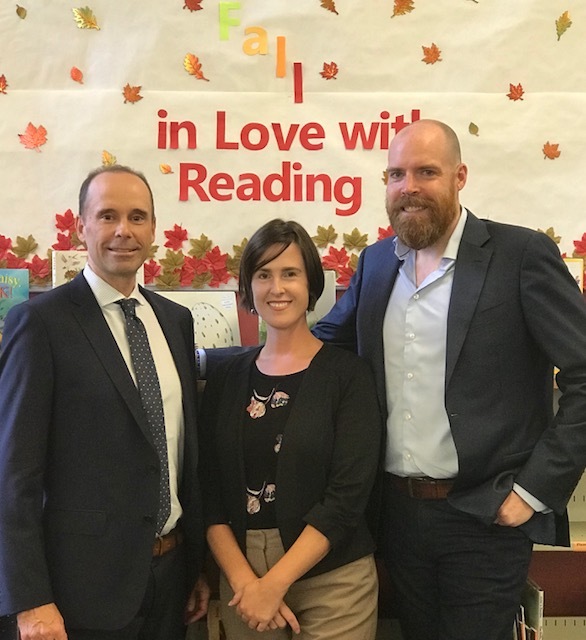 During the pilot year, 4 tutors, one in each federal riding, will work one-to-one with 18 children during each school semester. By the end of the school year, 144 children will have benefited from the pilot program. Next year, the Alliance plans to increase this number to 800 children. The Rotary Literacy Foundation will contribute $40,000 to this pilot project. Left to right: Gary Scales, Chair of Rotary Literacy Foundation, Jinny Greaves, ED of the PEI Literacy Alliance, Jeff Murphy, Chairperson of the PEI Literacy Alliance.